Grill, Beer and BBQ THE BLVD Bansko offers a convenient location, on the commercial Pirin street next to the Gondola lift and around almost all entertainment venues. THE BLVD became a favorite place for both guests of the city, and many locals. What makes us different and unique is our LIVE beer, which you can enjoy only here. The system "I Pour Beer Myself" is installed on each table and you alone can control the process without having to wait for the waiter, which has proved extremely useful at peak times. Available to our guests 100 seats (inside) and 60 seats in the garden, enough for you and your friends. THE BLVD offers a cozy and comfortable atmosphere, quality cuisine and professional attitude of the staff. Why is it worth to drink Live Beer? Living bacteria - beer yeast - is considered to be useful food ingredient, respectively, this also applies to this type of beer. Produced by conventional technology, but unlike 'normal' is spared mechanical treatment - filtering - and heat treatment - pasteurization. The bacteria responsible for fermentation and other production processes are alive - and so the beer is called "live beer". This leads to greatly reduced shelf life and makes it suitable for consumption up to 24 hours after production. We have live music every night, that takes care for your good mood. 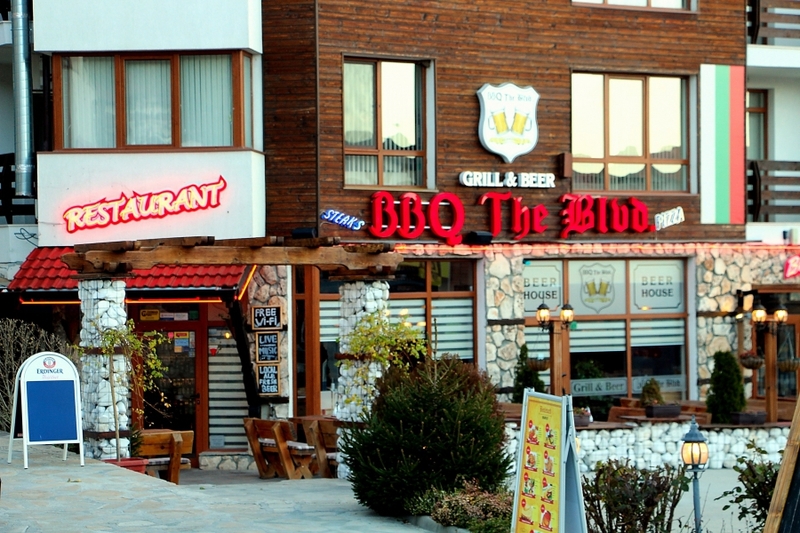 Grill, Beer and BBQ THE BLVD Bansko awaits you!